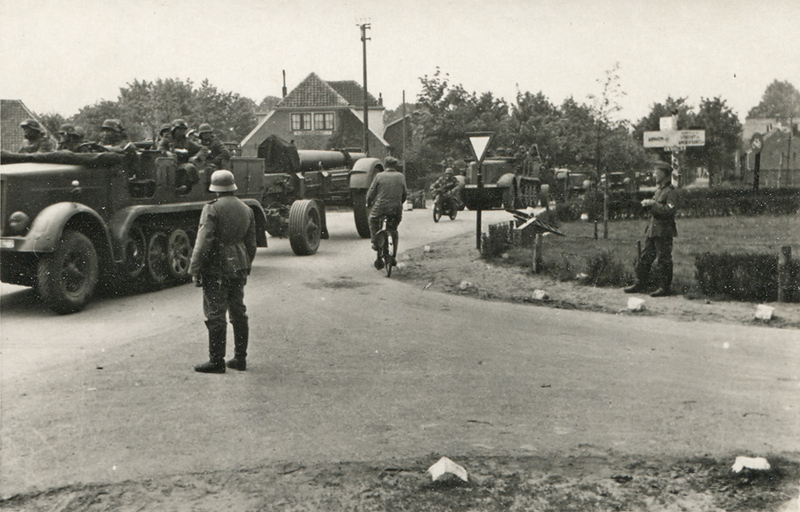 Heavy German artillery (Mörsers) probably near Ede, 14-16 May 1940. The signpost on the right shows Arnhem (left) and Amersfoort / Utrecht (right) (source). I don't know. I met an older Dutchman in England a few years ago. Every time he heard someone speaking German or saw a German license plate on a car, he'd get visibly mad, curse (in Dutch), and spit on the ground. I remember the fear, some joking, some not, when East and West Germany reunified. Turns out there was little to be afraid of, but the wider reunification of Europe has had a few unforeseen issues! Without the reunification Europe would be in an even bigger mess today... Which is a bit poignant since the implementation of the Euro was one of the conditions to allow the Germans to reunify. @ Jonathan - Germany is however not a unified country, because still there are sovereign states (100% German-speaking) outside Germany: Austria and Liechtenstein. Besides, German-speaking is Southern Tyrol and the biggest part of Switzerland. I guess every country has minorities living across the borders in neighbouring states. Hungary is a prime example. I'm aware that Austria and other places are Germanic -- however, I wasn't stating or implying anything beyond the fact that the former countries known as East and West Germany reunified.